Mazda CX-5: The perfect crossover SUV. The Mazda CX-5 is known for cargo space, efficiency, and great handling in bad weather. It also touts a quiet, spacious cabin, a smooth ride, excellent safety features and extreme comfort. The Mazda CX-5 is a great choice for those considering a Ford Escape, Honda CR-V, Jeep Cherokee, Toyota RAV4 or Subaru Forester. The Mazda CX-5 is available in sport, touring and GT trims. These are all driven by a 4 cylinder engine with front wheel drive. The touring and GT trims come standard with a slightly faster engine and automatic transmission, while these are upgrades in the sport trim. At any trim, the interior of the Mazda CX-5 is modern-looking and well put together. The look is comprised of simple, high-quality materials with tasteful accenting. This is capped off with a large, easy to read 7 inch control screen. The Mazda CX-5 also offers plenty of cargo space and legroom. 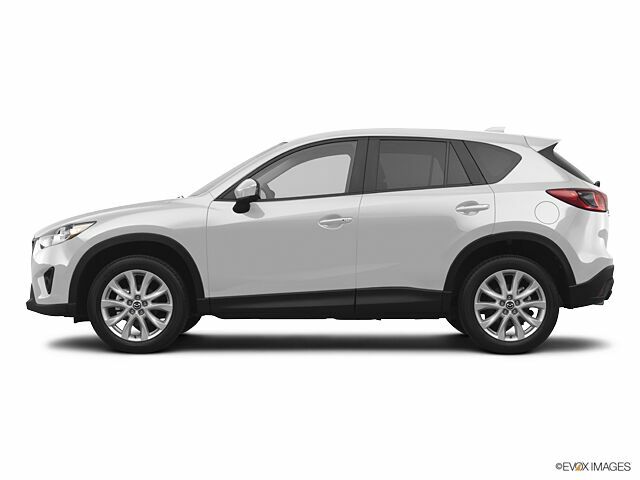 The Mazda CX-5 is a great investment for those looking to get a great value on a crossover SUV. Experience the modern feel of the Mazda CX-5 and browse our current inventory now!